Here, thankfully, is where the superhero screen treatment finds the right sense of balance. “The Amazing Spider Man 2” is a surprisingly effective sequel that trickles to the surface with composure and foresight, dropping viewers into a world of sweeping depth without bombarding them with overzealous action sequences to a degree of utter desensitization. And that’s as much a surprise as it is a virtue, if you think about it; after the ante of this crowded genre was raised significantly thanks to the first “Avengers” picture – an admiral endeavor despite its damaging repercussions on the competitive edge of action filmmakers – Hollywood has unabashedly lost sight of the notion of restraint, and descended head-first into an era in which wall-to-wall visuals rob us of independent thought. Something about a kid being bitten about a radioactive spider, thankfully, is unmoved by that trend, and the newest movie about his adventures involves narrative legwork that is not only refreshingly focused, but in many ways very old fashioned in its sensibility. Once upon a time our greatest protectors stood for something in protest of cruel tormentors and crumbling societies, and here is a protagonist that actually finds the time to do something noteworthy in the foreground, all while seeking insight and interacting with others for the benefit of character development rather than just the setup of mindless movement. Consider the movie’s special effects though, if just for a brief moment. The comic world’s most famous web-slinger never faced much in the way of gravitational limits when it came to conveying his physical dexterity in the movies, but in this, the fifth endeavor about his adventures in costume (including three that starred Tobey Maguire in the lead), great stunt work and CGI are enhanced even further by one of the most effective uses of a movie camera; as a window into the life of a gifted young adult, it doesn’t so much stand back and observe as it follows all his movements with convincing fluidity, then doubles back long enough for us to get a sense of just how dimensional the labyrinth of skyscrapers is in his fast-moving world. And what is true of that thought is also correct of the movie’s brilliant editing, which enthusiastically borrows elements from not only the preceding Spider pictures but also “The Matrix,” the first film to use that well-known slick stop/start motion technique to show a character dodging fast bullets. Yes, but Neo’s tricks were observed stationary, whereas Peter Parker is often sighted here in mid-air, always moving, like an acrobat with too many places to be. Most cinematographers would lose sight of him in anxious crowds; here, the talented Dan Mindel never leaves his side, even as the walls around this conflicted young protagonist seem to expand and then close in like pieces of a metropolitan fly trap. The narrative is probably as straightforward as you would expect it to be. 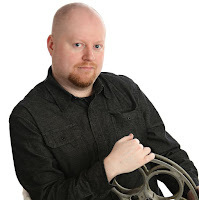 Peter Parker, the well-known nerdy photographer who is bitten by a spider in a lab and given amazing physical powers, is now in full command of his abilities at the start of this picture (I’m taking a lucky guess, of course, not having seen the prior film). 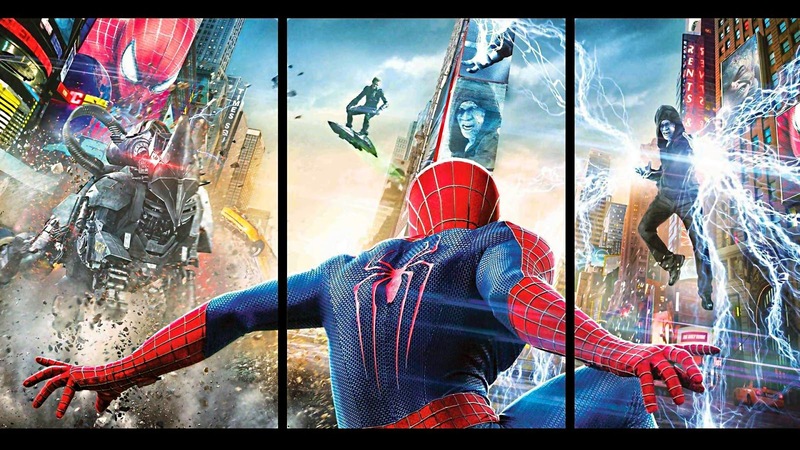 The city throws its most menacing wrongdoers towards him in rapid succession, but the focus is, primarily, on a suggestion that Parker is unable to maintain some semblance of a structured private life; dear Aunt May (Sally Field) works two jobs to put her darling nephew through college, while girlfriend Gwen Stacey (Emma Stone), aware of his secret identity, lacks patience in dealing with the inevitability of coming second in his life. Further weight is added to the young superhero’s shoulders when the uncertainty of his parents’ untimely death continues to plague his mind. Why did they die? What were they running from? The movie uses his questions as a framing device for a plot that hints at emerging secrets relating to their history, and just as Oscorp assumes familiar new management, Peter comes inches closer to understanding their past, and what it may mean for his future. Other facets color the outlying edges. After the death of Norman Osborne, the Oscorp industry is left in the hands of his ominous heir Harry (Dane DeHann), whose ongoing grudge against a deceased father leaves him oblivious (and somewhat uncaring) of the future of the company, even as the lawyers and businessmen that populate his boardroom exchange looks of disapproving resentment at his succession. Meanwhile, a socially awkward Oscorp employee named Max (Jamie Foxx) develops an obsession with the Spider-Man identity after his life is saved by the superhero during a crime spree on the city streets. Both of these men, glaringly unrelated, will inevitably cross paths because the plot will require them to, but what is not so predictable is the means at which they will converge. In both cases it is the presence of a wisecracking man in a spider costume that mystifies and then ultimately frustrates them, especially when it comes to what they see as an unwarranted sense of fame that follows him wherever he goes. And unfortunately for Peter, his youthful arrogance clouds the issue even further. There is a formula to all of this, really. The genre is framed that way. When it comes to stories about men or women who have been gifted with remarkable super powers – and the nobility to use them for good rather than evil – their quandary is that they are never mentally prepared to deal with the massive conflicts created by those with large axes to grind. If you think about it, characters like Spider-Man are essentially avatars of heroism fighting against the immovable force of social corruption; well-written ones occupy the screen not as mere action stars, but as forces of change in a world that is resistant to it. The Spider-Man of this continuity is more youthful and uncultivated than the one observed in the Maguire pictures, but beneath immaturity are the seeds of great promise, and the movie does a solid job of demonstrating that. 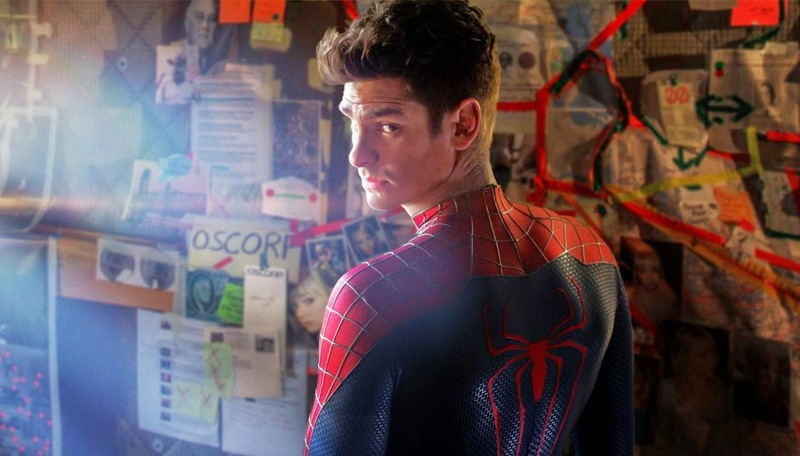 Also effective in that context are the performances: Andrew Garfield as the young Mr. Parker is great at balancing headstrong conviction with thin traces of insecurity and depression, while Emma Stone makes a rather convincing Gwen Stacy, especially in scenes where her loving looks are interlaced with impatience in his choices. Also noteworthy is the synergy between he and Sally Field, both of whom approach their interactions together not like some common distraction in an action picture, but like a full-fledged relationship meant for more serious dramas. One thing you can always suspect forgetting about in a comic book film adaptation is the possibility of significant acting, but “The Amazing Spider-Man 2” provides an interesting antithesis in that thought process. Less convincing, alas, are the villains. The screenplay, penned by four writers, is rightfully dedicated to exploring the facets of its hero, but the antagonists seem curiously underdeveloped, almost displaced. The Electro character, created after a tragic accident in the Oscorp electrical rooms, is surely one of the more ambitious threats any movie superhero has faced in the recent years, but his existence is almost trivial in a movie that uses him only to propel twists, and then forget about him for solid chunks in between. And while I liked Jamie Foxx’s performance and all his ambitious showmanship, DeHann as the Green Goblin is simply wrong for this material; young and still unable to effectively regulate a consistent tone in his roles (even after being in prominent films like “Chronicle” and “Kill Your Darlings”), he reduces the well-known adversary to a crude display of overzealous facial expressions and half-muttered dialogue. To be evenly matched against a character like Spider-Man is daunting for any performer, but mugging for screen time is, alas, not the appropriate method, even in a movie as colorful as this one. Yet amidst these narrative choices and questionable characterizations are a wide array of startling revelations and spectacular special effects that are used to benefit the story rather than overwhelm it. Certainly more than the last “Captain America” picture, there is a real sense here that the filmmakers are united in their focus of telling a story with clear and concise motives, even if the journey towards the climax has obstacles along the way. The experience of watching “The Amazing Spider-Man 2” can be broken down into countless facets, but the movie’s most important quality serves to negate most of its primary problems: it is simply a lot of fun to watch, and you’re quickly caught up in the characters, their conflicts, and have genuine interest in where a plot like this can take them. There is even a moment at the end where I actually speculated, with somewhat of a surprised delight, about where the story could go in additional sequels, and how interested I would actually be in seeing them.